Iris Scanner coming to Galaxy Note 7 or S8! | Android News at HighOnAndroid.com! 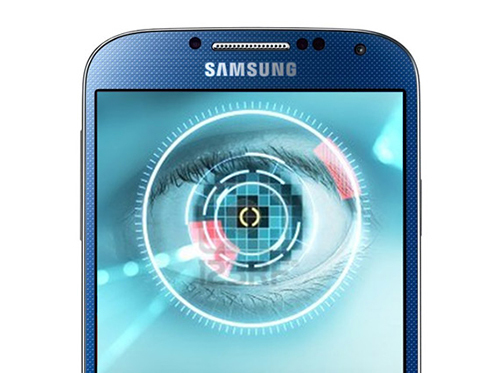 Samsung has recently trademarked Galaxy Iris and Eyeprint in the U.S. and South Korea, getting ready to be one of the first Android smartphone brands to offer iris scanner on their upcoming Galaxy Note 7 or Galaxy S8. While fingerprint sensors have really taken over the world in the last 12 months, iris scanners may be the next big thing. But the big question is, will it be more efficient and better than fingerprint? That seems very questionable at this point as iris scanner would require more battery power consumption for scanning people’s eyes using the camera. Of course, there may be a way to save battery life by manufacturing a specialized camera that would use less energy during an iris scan. Samsung has already launched Galaxy Tab Iris in India earlier this year so this is definitely something to be included in the next Galaxy Note 7 or S8. If iris scanner can prove to be faster at unlocking your phone, this could be a pivotal step in transition to smudge-free and more secure future smartphone. Most annoying things that happen while using the fingerprint scanner are greasy and wet hands. Whenever my hands are slightly wet from washing hands or greasy from eating hamburgers, fingerprint scanners tend to fail. With iris scanner, this problem may be solved although there’s still question of how well it would work in the dark. We will definitely have more news and updates on this but in the meanwhile, what do you think of iris scanners? Better than fingerprint? Next story Future Google Nexus Phones Will Not Run Pure Android!